We've all heard that it's important to take care of ourselves. Often times we think of that from a personal perspective: We take care of our health. We take a vacation to relax and refresh ourselves. But do you take care of yourself professionally? Professional development is a chance to enhance the skills of newer staff or those who are more experienced. 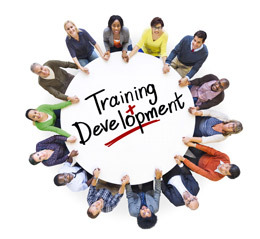 For a youth worker, professional development can be training, education or support. Professional development for youth workers benefits not only the individual but also the organization for which they work. Better skills. Trained youth workers are better equipped to meet the diverse needs of youth in programs. Self-awareness. Through professional development staff are able to better understand their own strengths and areas needing improvement. Program quality. This includes better understanding participant needs or the community, developing engaging activities for youth, helping youth handle behavior and conflict, interacting and communicating effectively with parents and stakeholders as well as reporting. A better experience for youth. High-quality training opportunities allow youth workers to learn and experience best practices, which can be built in at the program level. The workforce. Providing and participating in training helps to professionalize and elevate the field of youth work. How do you ensure you are working on your own professional development? Dorie Clarke suggests professional development takes on three main forms: learning, connecting and creating. Identifying what you need to gain or improve on in each of the three areas helps you to advance your work and establish your profession. It’s important to plan for your professional development. Evaluating what you need to improve on or where you want to advance your skills is a first step. Where will you build it into your schedule? What is available to meet your needs or interests. Execute your plan. And, finally, monitor your plan. Are you staying on track? Are you gaining what you had hoped? We are a quarter of the way through 2018. How are you doing on your professional development plan? Remember to take time to take care of yourself professionally. It’s important for you but also for your organization and your field. Trish, I appreciate your approach to professional development. Often, we go to some of the same conferences because we know about them and haven't taken the time to identify the skills that we really want and need to develop. I am focused on creating a personal professional development plan, which will allow me to look at the skills that I need to develop and build a plan to address them. How have you utilized a personal professional development plan? Great message, Trish, and so relevant at this moment as work begins to get hectic leading into the summer months and our "self" gets put on the back burner. And to second what Nancy says above, it's so crucial to really understand what we NEED and not always rely on the same conferences or experiences we've attended in the past. I've been trying to explore new learning opportunities that are out of my norm to satisfy some of the professional needs I've identified. Now I just need to make a plan and stick with it. Thanks for the reminder!